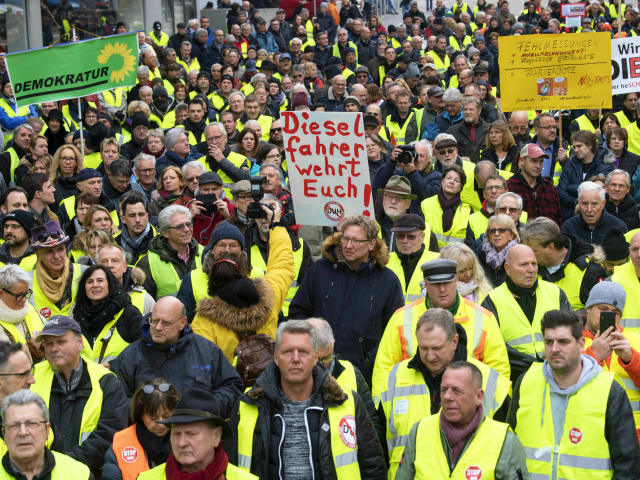 In response, the Stuttgart organisers have asked people to hit the streets clad in the yellow high-visibility vests that have defined months of protests in France — themselves triggered by an increase in tax on diesel. “Yellow vests give us visibility, also in the media,” Topalis said. Topalis was careful to delineate the movement from any existing political force, after far-right Alternative for Germany (AfD) attempted to capitalise on last week’s demonstration that drew 1,200 people. Increasing numbers have been drawn to the movement over its four weeks, as Germany’s coalition government remains divided on how to balance the interests of drivers, city dwellers and the environment.